When the days drew near for him to be received up (Luke 9: 51), at the end of his stay in Galilee, Jesus began to foretell of his fate in Jerusalem to his disciples, ‘and they were greatly distressed’ (Matthew 17:23). 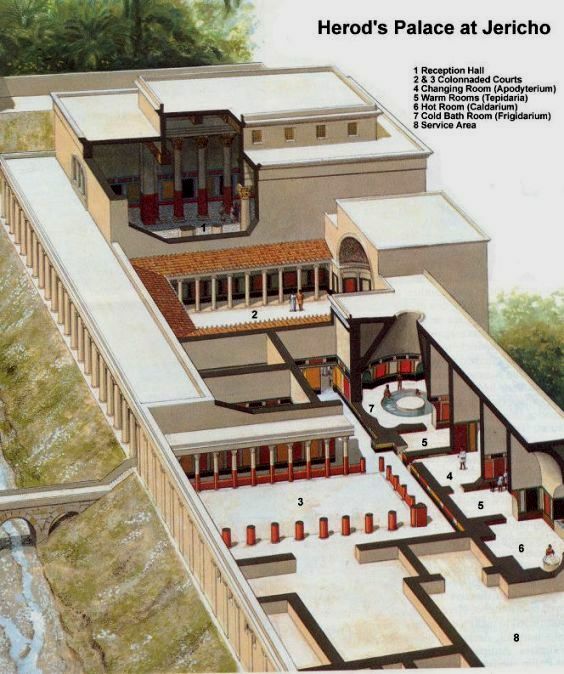 We may possibly insert into the story of Jesus‘ last journey to Jerusalem the incident mentioned in Luke 9:52~56. 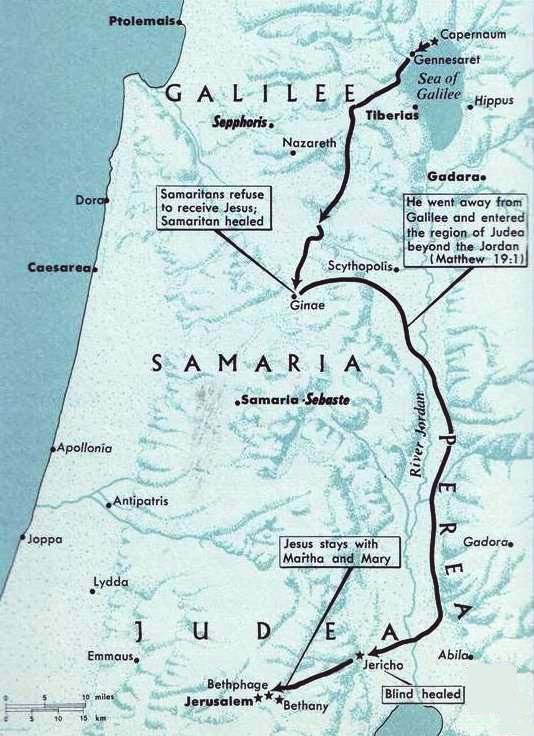 Perhaps Jesus intended to take the shorter route to Jerusalem by way of Samaria but, as the people would not receive him, he turned eastward and went through Perea, the ‘Judea beyond the Jordan’. 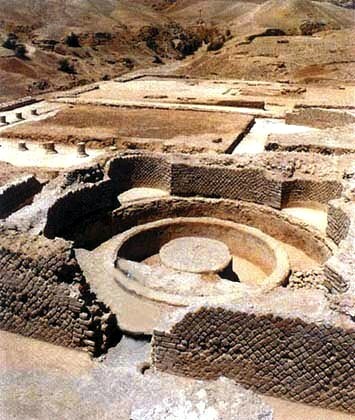 From there, he and his disciples crossed the Jordan and continued by way of Jericho, where he stayed at the house of Zacchaeus, a chief tax-collector, probably of the imperial estates in the Jordan valley, inherited by the emperor from the Herodian dynasty. Two blind beggars were healed outside the town. Then Jesus continued along thc pilgrim road, which went up to the Mount of Olives and so to Bethphage on the mount and to Bethany, where he stayed at the house of Martha and Mary, the sisters of Lazarus.